Located amid a bubbling hub of large, luxury car dealers sits a different and refreshing kind of dealer. 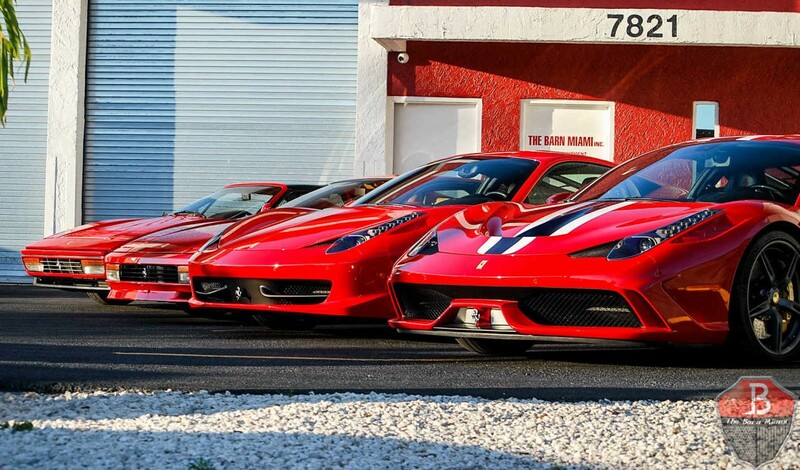 Just a stone’s throw from Florida’s iconic Miami Beach, The Barn Miami, a boutique dealership, marries the best of old-school knowledge and time-tested skill with modern social media dominance and a special customer service approach. Gaston Rossato, owner of The Barn Miami, embodies the entrepreneurial spirit of his father– an Argentinian immigrant who cultivated for himself a successful career in various aspects of the car business. Rossato’s father, Lucas, not only serves as his son’s inspiration but also works side by side with him at the well-known, Miami boutique. The collaboration has proven fruitful for Rossato and his business. The Barn Miami’s social media presence extends far and wide, bringing in car aficionados from all corners of the world. The exclusive shop even caught the attention of popular national television show, South Beach Classics. Rossato has found a way to truly connect with his audience and his clientele, making The Barn Miami a prime shop. The immaculate, Rosso Corsa finished Countach is a true collector’s edition, with only 19,000 miles clocked. But what makes this example truly one-of-a-kind, is a little added bonus that few Lamborghinis can boast of– the car includes the signature of famed driver, Valentino Balboni. Scrawled across the passenger side dash in gold sharpie, Valentino Balboni’s name decorates this modern classic. Balboni’s signature gives the Countach a little something extra to brag about, but also speaks volumes about the establishment that Rossato and his father have created–a thriving, one-of-a-kind boutique unmatched in South Florida.